Wasn’t it just the other day when Lauryn Hill was singing about her baby boy Zion on her 1998 album, “The Miseducation of Lauryn Hill”? Wasn’t it just the other day when Lauryn Hill was singing about her baby boy Zion on her 1998 album, “The Miseducation of Lauryn Hill”? Fast forward 17 years and Zion Marley is graduating from high school. Oh how time flies! 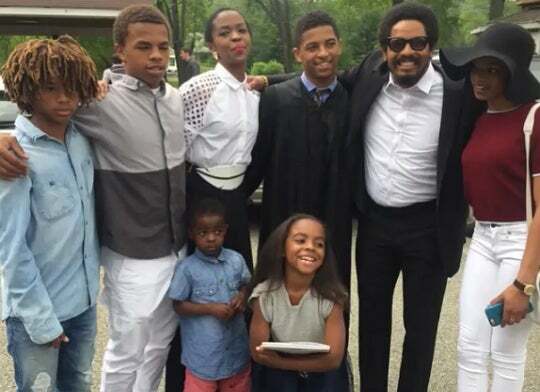 Ms. Hill attended her son’s graduation with Zion’s father, Rohan Marley and the rest of Zion’s siblings.